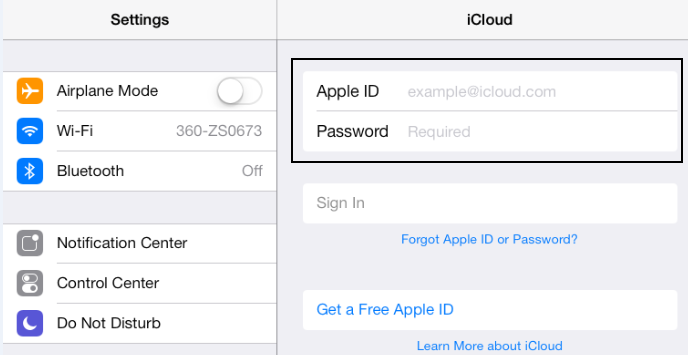 How to restore device or close "Find my device" when you lost the password of iCloud. Here are steps for you to follow. Note: Only for iOS 7.0.0--iOS 7.0.6. Step 1. Access Settings>iCloud>Account, delete password and input any password at iCloud Account Information window, click Done to finish. When it prompts a wrong warning, click OK button and click Cancel to exit. Step 2. Access Settings>iCloud>Account again, if the Description bar is not iCloud, please intput iCloud and then delete it. Click Done. If the Description bar is iCloud, please delete iCould and click Done to exit. Step 3. Now the Find My Device has been disabled successfully. Step 4. 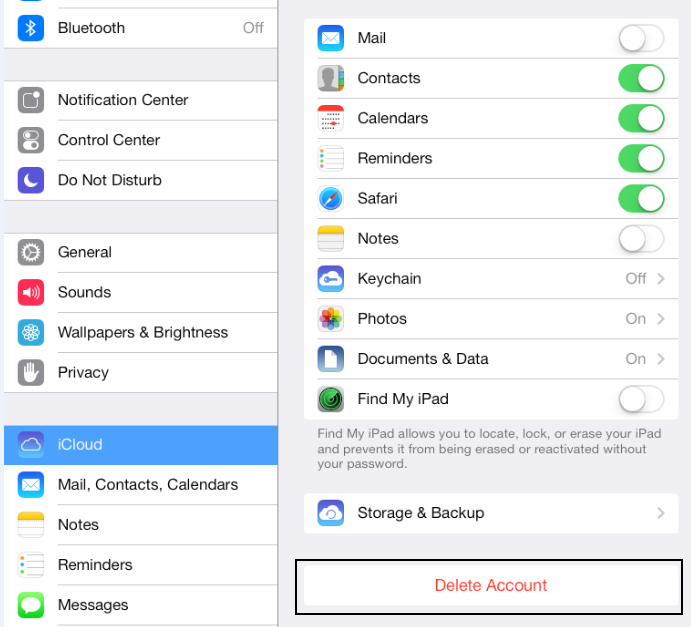 Access Settings>iCloud page, click Delete Account to remove iCloud account at the right bottom corner. Step 5. 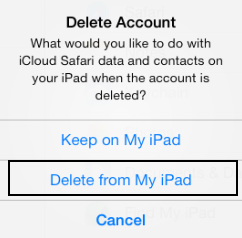 Click Delete from My Device option to remove iCloud account forever. Step 6. After removing iCloud account, you can input new info for iCloud below. Step 7. Launch iTunes to connect to your device. Step 8. 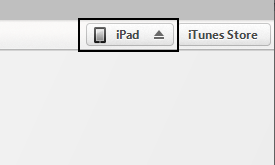 Click idevice at the top right menu to access iTunes device management. Step 9. 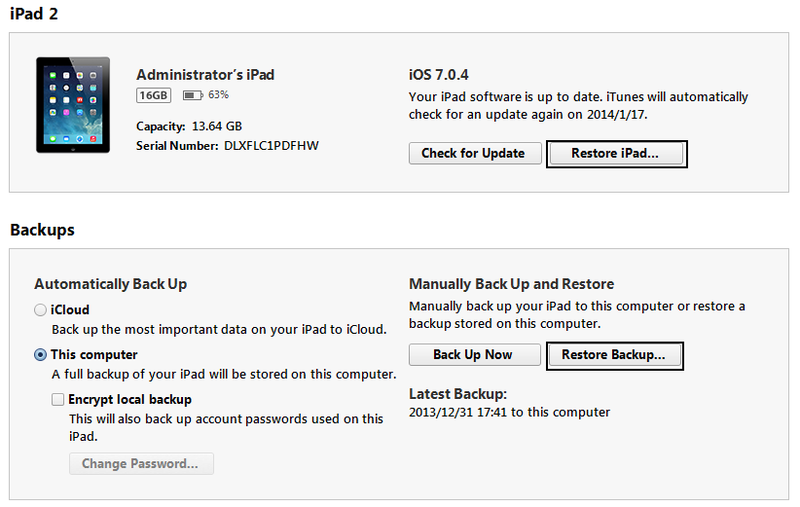 Choose Retore idevice… or Restore Backup… to restore your device. Why do I have to close all the apps and avoid any updates before the erasure? How to connect iOS device which is in Recovery or DFU mode.